The Jaipur city tour package is an amazing trip for exploring and experiencing the aristocracy and the grandeur of Rajputs of Rajasthan. In this full day Jaipur city tour you can easily explore the almost all the historically famous and significant places of the city, its excellent tradition, handicrafts and jewelries. The Jaipur city of Rajasthan flaunts a blend of the Mughal and Rajasthani architecture. Explore the Jaipur city with lunch and Elephant ride. Imagine, how the outside life looks from the 953 small windows at Hawa Mahal. Ancient way to study time and the position of the planets at Jantar Mantar. Admire the architectural beauty of Jal Mahal. 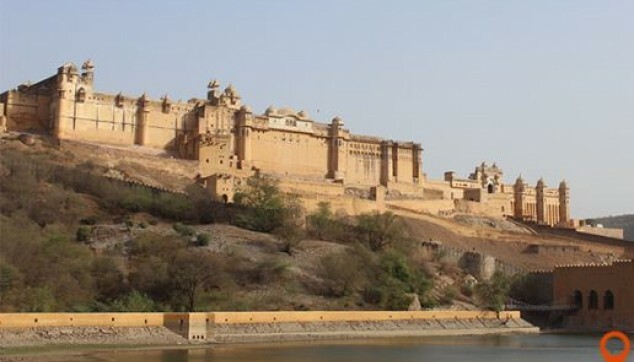 Early morning at 07:30 AM driver will pick you from the Hotel lobby for the full day Jaipur pink city tour begins with a visit to the enormous Amber fort, built by Raja Man Singh, this fort shows the aristocracy of the Rajputs and the skillful and protective architecture of the fort. This Jaipur day tour package is becoming more enjoyable with elephant ride from Aravalli foothills to the fort. After that, we will drive you for the outside glance of the Jal Mahal (Water Palace) increasing the glory of the Man Sagar Lake. Next comes to the City Palace, has numerous palatial structures, comprise Chandra Mahal, City Palace Museum, Badal Mahal, Govind Dev Temple and the Mubarak Mahal. It also holds a collection of around 2000 weapons, armor, and dresses of Mughals and Rajputs. Afterward, our next move is towards the Hawa Mahal (Air Palace) is a five-storey façade, built by Maharaja Sawai Pratap Singh in the shape of a pyramid with 953 small windows spruced up with the latticework. Jantar Mantar this 18th-century masterpiece was built by Maharaja Jai Singh provides the information about the astronomy, time and planets and other celestial bodies. The instruments used in that age here still provide accurate observations comparable to modern tools. After this same day Jaipur city tour package our envoy will take you in some famous shops where you can do shopping. After shopping return back to your hotel. 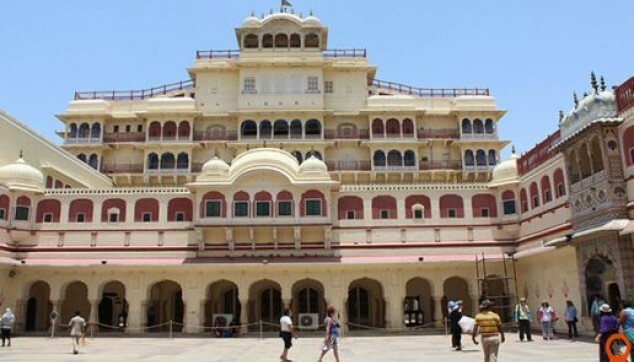 Indiator is pleased to assist you for the Booking of your Jaipur city sightseeing tour package. Complementary Lunch at Local Restaurant. Hotel to City sightseeing by Private air condition Car. It was an amazing experience that I recommend all traveller to try if they get the chance! As I'm sure it won't be there forever. Extremely beautiful views! Movie like! Once in a lifetime experience with a sense of spiritual peace to it. I still can't get over the place, the memories of City Palace, Jal Mahal, elephant ride is still fresh. I wish to visit India soon. Indiator is doing an awesome job, making the trip a memorable one. I am so grateful I took the services from Indiator. We enjoyed a lot hogging Indian food and visiting the heritage it has preserved. It is mainly famous for palaces. You will have a lot of things to do. Nice city.